The Winter Music Conference is announcing its 29th consecutive year as the largest electronic music event in Miami, Florida! 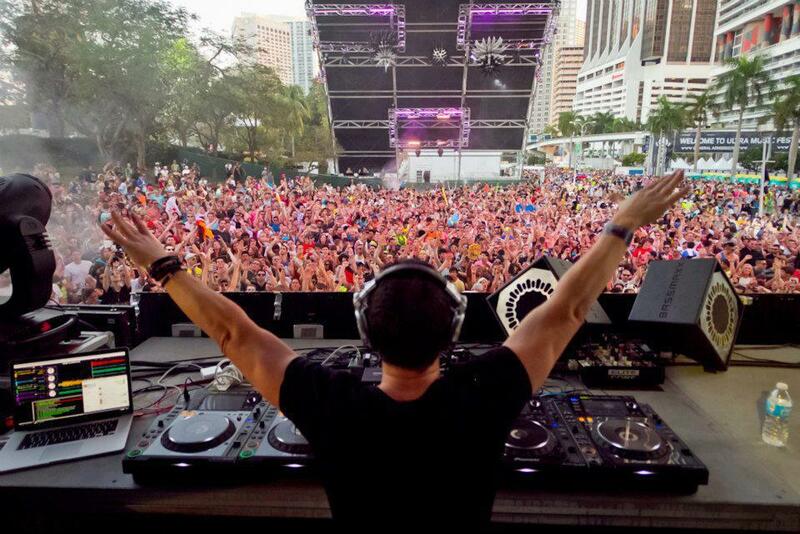 The grand finale to the ten day electronic music extravaganza, is the 3 day long Ultra Music Festival, uniting fans and bands for all across the globe. Spanning almost three decades the Winter Music Conference has brought together some of the world’s greatest professionals in the dance music industry, along with top of the line musical equipment from keyboards to synthesizers and video and light shows that explode across the stage. Founded in 1985 by two former DJs, Louis Possenti and Bill Kelly, this mind blowing event has brought vacationers from all over looking to rent a nice property where they can unwind from the constant visual and auditory stimulation. With Villazzo luxury property rentals you, your friends, and your family can save a bundle by sharing in the magic of Miami from your own private Villazzo villa, you can also enjoy the fun of both festivals free of charge with our complimentary event tickets. This is a chance to be part of a musical revolution that brings in more guests, more amazing musicians, and more excitement to the stage each and every year. An event not to be missed during the Winter Music Conference is the International Dance Music Awards that features performances from over seventy different countries—in fact, almost forty percent of the people in attendance are not from the United States. The plethora of record producers, high-name equipment companies, famous DJs, and other up and coming performers truly brings in a large and eclectic crowd. If you want to enjoy the fun without any hassle our five-star concierge service at all Villazzo villa hotels will ensure that each guest is provided with everything they need, whether it be transportation to an event or a delectable meal before you leave. In addition the Villazzo Living team will be on board to take care of any luxury maintenance issues that may arise. Your ultimate mission is to simply enjoy everything, and we are here to guarantee your complete and utter satisfaction. Villazzo prides itself by making your stay not only comfortable but memorable as well. There is no better stay than a Villazzo luxury villa! The Winter Music Conference is about learning, from the people who know it best, what goes on in the electronic music industry. It provides an electrifying (no pun intended) first-hand look through interesting panels and seminars, as well as impromptu performances, what truly goes into creating and glorifying a musical genre that has made its way through the doors of just about every fist-pumping club in Miami. 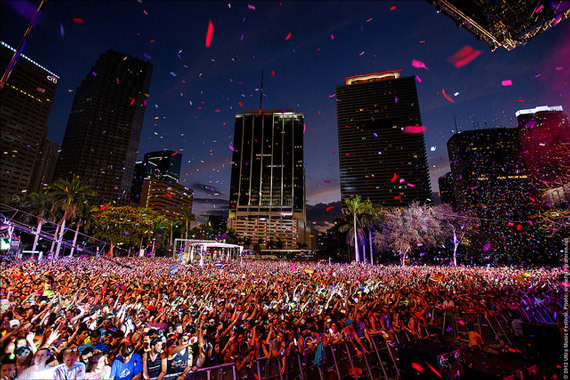 Headlining the three-day Ultra Music Festival will be amazing performers like Showtek, Nicky Romero, and David Guetta. For all you music lovers out there, starting March 21st Miami, Florida is the place to be and Villazzo luxury properties are the place to stay. This entry was posted on Friday, March 21st, 2014 at 7:08 pm	and is filed under Entertainment, Luxury Travel, Miami, Miami Beach Luxury Travel, Nightlife, Property Management, Travel, Villazzo Living. You can follow any responses to this entry through the RSS 2.0 feed. You can leave a response, or trackback from your own site.